Reflections of a traveller: The new issue of Mum & Muslim is out now! The new issue of Mum & Muslim is out now! Alhamdulillah the December/January issue of Mum and Muslim is out now! Alhamdulillah thanks to all our writers, this issue is full of excellent articles. 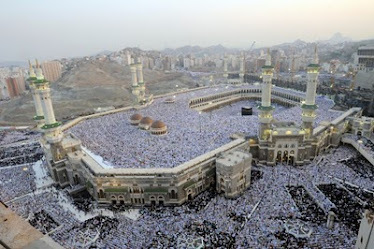 The sacred month of Dhul Hijjah is going and the Muslim New Year is almost here. It is also Christmas and we have produced some useful articles on the issues that Muslims in the West face at this time of year, insha-Allah. I am so glad that M & M is getting popular. This was just a dream once upon a time (in fact, not that long ago!) and now after almost one year, Allah (SWT) has blessed us with six issues full of very informative and inspirational articles alhamdulillah! All credit goes to Allah (SWT) and our dedicated writers! In the beginning, it wasn’t that easy especially creating the site with all its categories and getting good contents. When you start something from nothing, it is quite challenging to feel motivated! Sometimes I did feel like quitting thinking this is a very difficult task given at the beginning not that many people were involved in the project. Alhamdulillah Allah (SWT) makes it easy when you are trying to do something which will definitely benefit the community. I started to contact some of my close friends to work together. Alhamdulillah they helped me a lot. Special thanks go to Umm Salihah and Aisha Sanusi. Emma has helped us a lot too but unfortunately due to other commitments she had to leave. From the very beginning, my husband has been very helpful. It was him who did the website as I am not really that good with technical stuff. Whenever due to so many difficulties, I felt like stopping, he kept encouraging me to keep on going and trying my best. Alhamdulillah I am so blessed to have a partner like him. May Allah (SWT) reward him for being so supportive and extra-patient with me, ameen. So far, this year has been quite a productive year for M & M e-mag. We are getting more writers as well as regular readers from all over the world alhamdulillah. We hope to carry on working hard and make this magazine a big brand not just in the UK but throughout the world, Insha-Allah! Please do keep us in your duas! And please do contact us if you would like to contribute. We are always actively looking for more writers and contributors.